Madga is our Queen Bee for the months of March and April and she picked a beautiful traditional log cabin block. 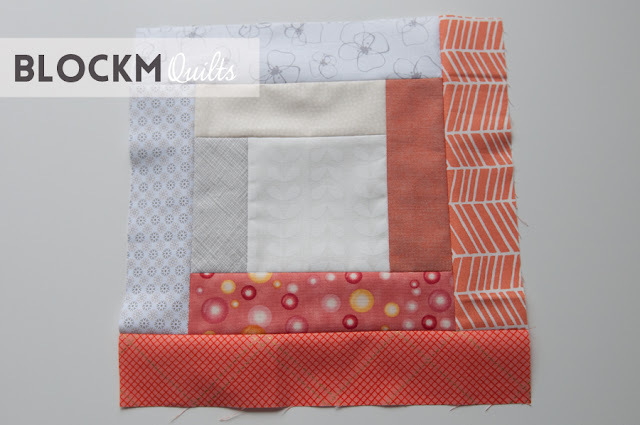 Magda always wanted to do a low volume quilt with peachy colours so she asked her bees for a little help. The low volume were to be very light, the contrast achieved is great that way! And that's all four blocks I made together. Magda asked for 2 of the same blocks. 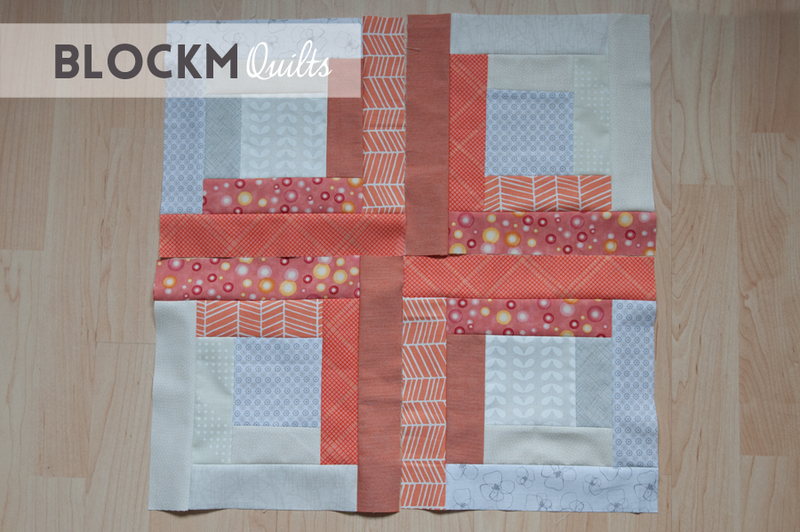 I was unsure first but half way through making these blocks I absolutely love the colour combination! The finished size of one block is 10" square, the square in the centre is 4x4" and all strips are 2" wide (unfinished). I'm a month early with my finished blocks. I selected the fabrics while creating my sewing corner in our living room and couldn't wait to start the blocks. 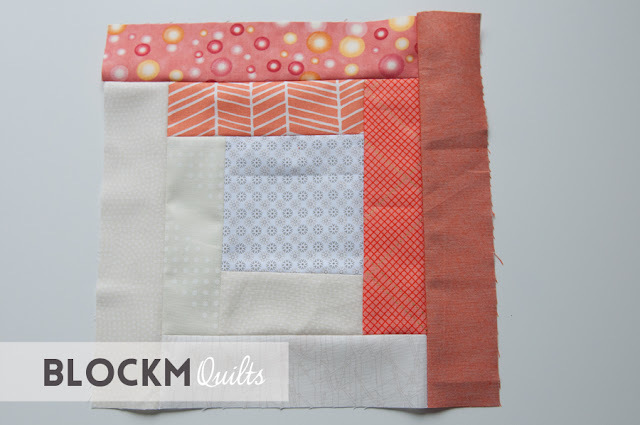 I hope Magda likes the blocks as much as I do and I can't wait to see the finished quilt. I really really like the simple and classic log cabin block. Peachy is not my color but I love how it turned with these low volumes. Peach (or coral) seems to be a popular colour for bee blocks this year. I don't have much of this colour either but have had to make two blocks with it already.